From item caption:"Fugitive slaves approaching the Federal sentinels rear of Fortess Monroe and seeking the protection of General Butler. Fugitive slaves entering Fortress Monroe - passing the drawbridge at the main entrance guarded by the sentinels." 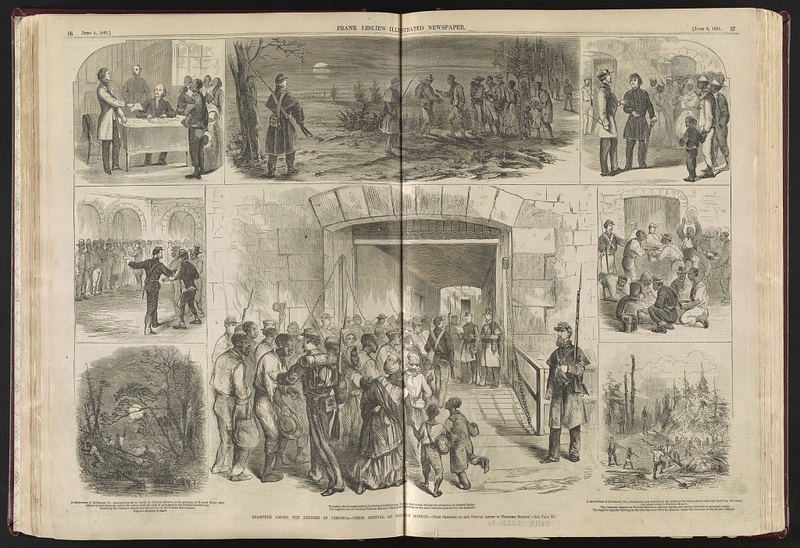 Frank Leslie's illustrated newspaper, vol. 12, no. 290 (1861 June 8), pp. 56-57. 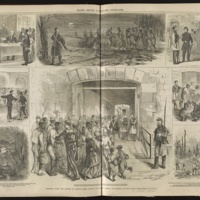 “Stampede among the Negroes in Virginia - their arrival at Fortress Monroe,” Human Computers at NASA, accessed April 19, 2019, http://omeka.macalester.edu/humancomputerproject/items/show/18.